takes 7 to 9 days. The wine matures in new barrels and casks for 18 months. A lack of winter cold, the right amount of rain and a sudden change in temperature led in some areas to budding as early as the first week in April. The spring months were marked by rain and high temperatures which fostered perfect fruit set. The summer months were hot with relatively cool nights and little but well dispersed rain which allowed the grapes to ripen evenly earlier with respect to previous seasons. Despite the year being early, the Sangiovese was only perfectly ripe at the end of September. The harvest therefore took place between the last 10 days of the month and the first 10 days of October. This is the pinnacle of the expression of Sangiovese at Brolio. The aroma is so specific, intense and typical as not to be confused with any other wine. 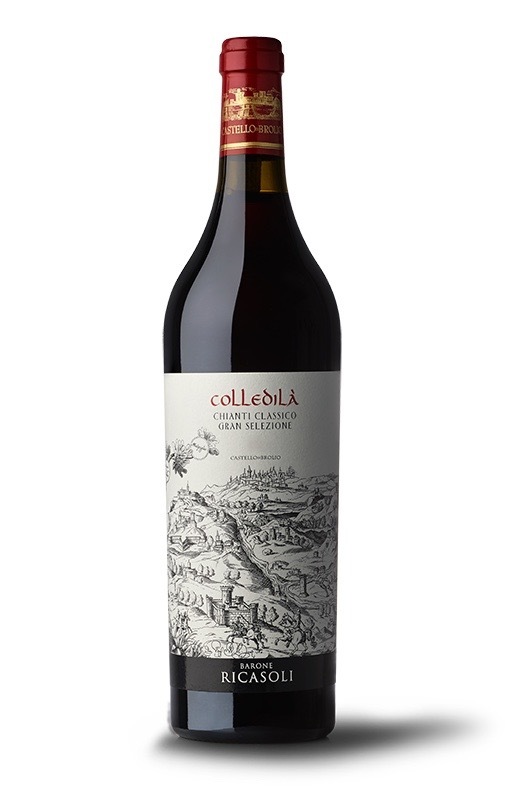 Red fruits, toasted notes, and the strength and elegance of a Sangiovese cru which expresses its territory and its breeding.